But extremely powerful. 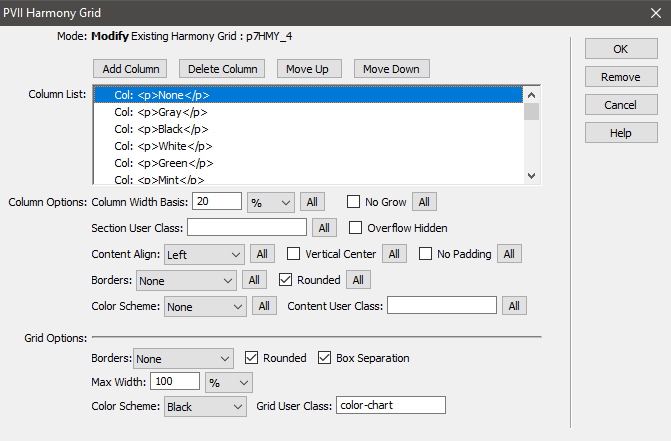 Harmony works seamlessly within Dreamweaver. The user interface is designed to be simple, straightforward, and extremely powerful, without getting in the way, or requiring you to learn a new workflow. Advanced CSS authors can leverage the power of Harmony's User Class option to effectively author their own CSS Flexbox library. Simply set up an exceptions CSS file, assign a User Class to the appropriate element and customize to your heart's content. See this tutorial for more details. There is an awful lot you can do with Harmony alone. But if you deal with lots of clients and would prefer a more finished-looking design to use as a starting point, we offer several Page Pack Collections that use Harmony at their core. 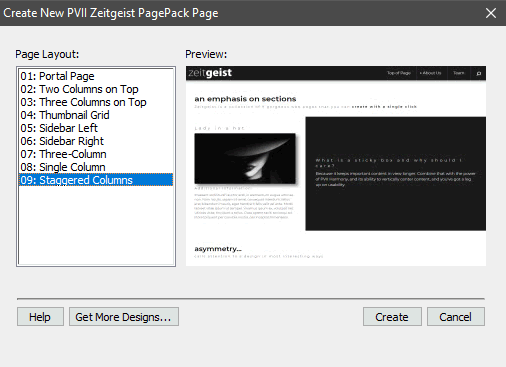 PVII tools make Dreamweaver better.